Sadly, this is the only Adam Cesare novel I’ve read to date, but trust me, I’ll be reading more. Adam’s going to very busy in 2014, as he has numerous books hitting the marketplace. January 7th will see his second full-length novel with Samhain Publishing, entitled The Summer Job. According to Amazon—where the novel is available for pre-order—it’s about a college graduate starting a job at a remote motel that has some seriously sinister qualities to it. Also, Adam has a gritty crime novel called The First One You Expect due out in February from Broken River Books. Shock Totem Publications will release Zero Lives Remaining in April, which centers on a haunted arcade. In addition to the paperback and e-book version, they will also be releasing a limited hardcover edition. 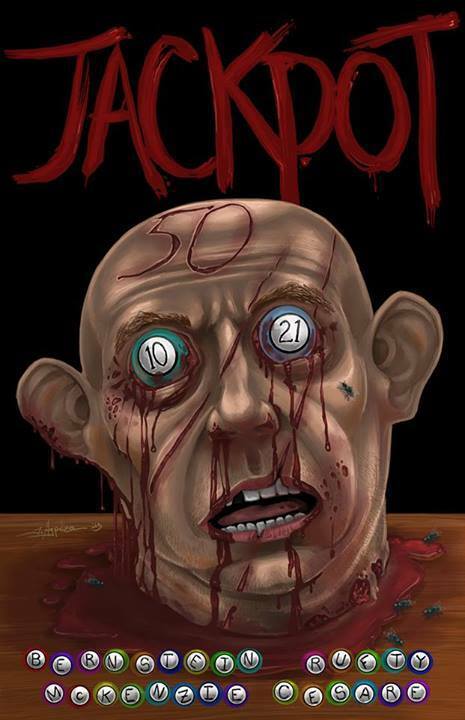 And lastly, Adam has been collaborating with horror writers Shane McKenzie, David Bernstein, and Kristopher Rufty on a novel called Jackpot. It’s about a serial killer who hits the lottery, and it should be available very soon. Like I said, I’m impressed with Mr. Cesare’s writing chops, and I’m looking forward to these upcoming releases. You can check out more of Adam’s previously published works on his website. Like most of the authors on this list, Kelli Owen hasn’t received much attention from this site. Which is a shame, because she’s a damn good writer. The first thing I read from Kelli was her debut novel Six Days, and it was a fine read. I remember staying up well past my bed time, fighting off unconsciousness, not wanting to put it down. It’s about a girl who finds herself a prisoner in someone’s basement. Not an original topic, but the way Kelli delivers the story—told between flashbacks—will leave your mind blown. I’ve also read The Neighborhood, an enjoyable novella reminiscent of Stephen King’s The Body. So what does Kelli have in store for us in 2014? Thankfully a ton of good stuff. She has five novellas coming out this year. Yes, that’s right. Five. And each one of them is as intriguing as the one before it. The first is something called Deceiver, and from a quick glance at the cover and the description on DarkFuse’s website, it’s going to be a very bloody crime novel with a tinge of mystery. Also slated for a 2014 release, is Kelli’s previously published collection of Waking the Dead (Thunderstorm Books). The collection includes Survivor’s Guilt, Grave Wax, Crossroads, and Buried Memories. Kelli’s also working on a follow-up to her post-apocalyptic novella Waiting Out Winter, but the publication date is yet to be determined. In addition to the previously mention works above, I must also suggest Live Specimens and White Picket Prisons. You can check out the complete list of her works on her website, where she also hosts a highly entertaining blog. What do you call a poltergeist-chasing, sasquatch-obsessed, Seattle Seahawk-loving writer with a knack for great storytelling? I call him Hunter Shea, and if you haven’t read any of his books yet, it’s never too late to start. I read Sinister Entity last year, and it was one of my favorite reads of 2013. Hunter has a unique narrative style, highly addictive and fun. 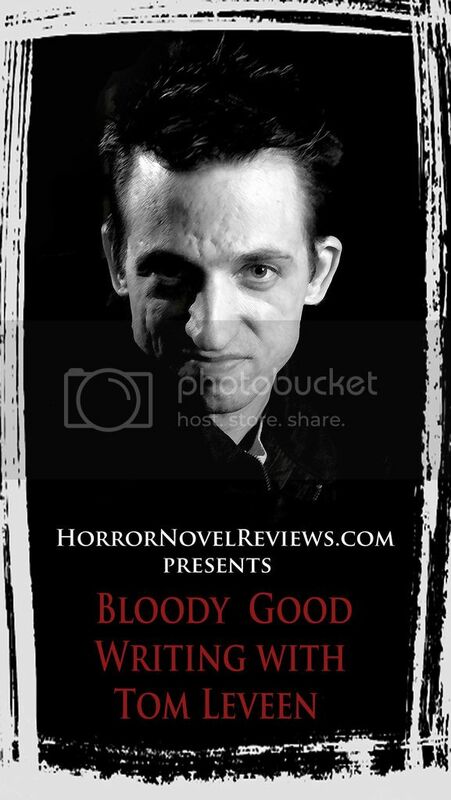 Earlier this year, I reviewed his novella Swamp Monster Massacre for the site. If you’re interested in getting into Hunter’s stuff, Massacre is a great place to start. It’s short, but oh-so satisfying. Luckily for the average horror-fiction junkie, Hunter has been busy. He has three novels scheduled for 2014. 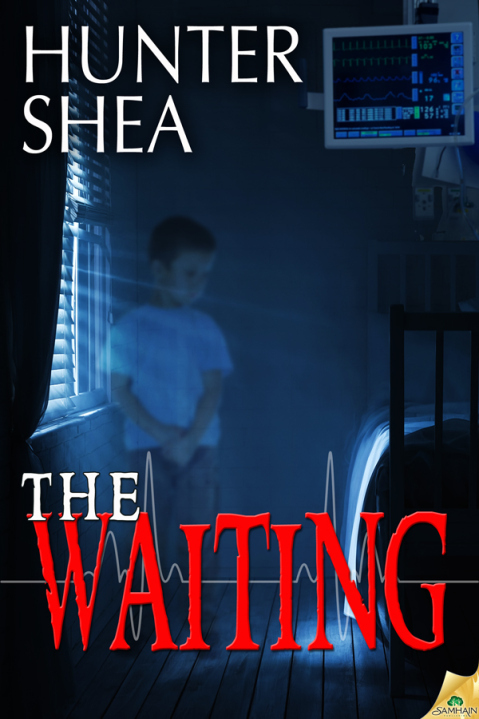 The first is a novella entitled, The Waiting (Samhain Publishing). Although considered fiction, the book is based on true events. 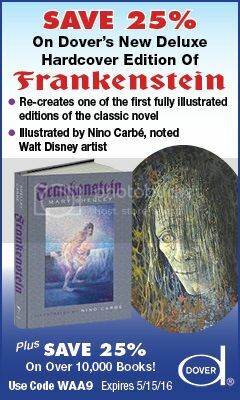 The story follows a man and his terminally-sick wife who are visited by the apparition of a young boy. The second novel is titled Hell Hole. While the plot is still under wraps, I’m told it’s a western/horror story that has everything in it. Old cowboys. Rough Riders. Teddy Roosevelt. Demonic children. Ghosts. Abandoned mining towns. That’s just some of what Hell Hole has to offer. The third book is a top secret project from Pinnacle Publishing. An official announcement on that project is coming soon, so stay tuned! You can check out all of Hunter’s previous works at HunterShea.com. Also, check out his video podcast, Monster Men, lighthearted discussions on dark topics, at https://www.youtube.com/user/MonsterMen13 (check out an example episode below). Bryan Smith’s writing is brutal. The Depraved is twisted. 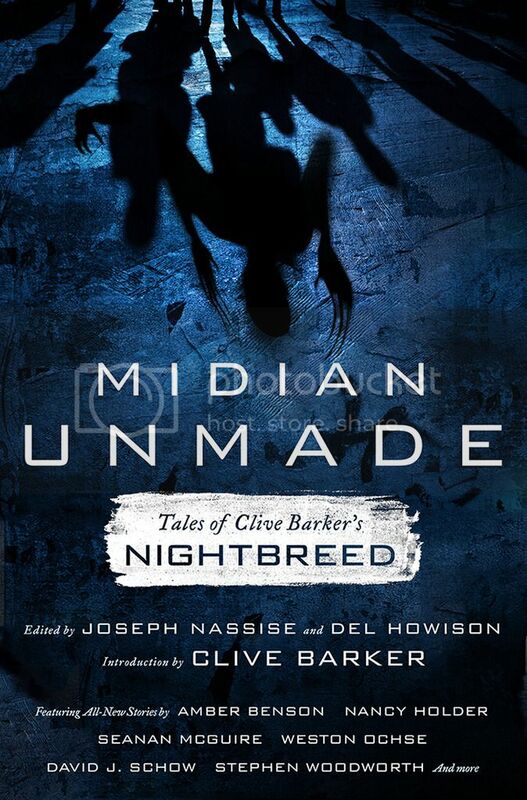 Darkened is gruesomely fantastic. The Dark Ones is demented. I can’t say anything new about Bryan that hasn’t already been said before. He’s one of the best writers in the genre today, and has produced some compelling horror novels over the last decade. Personal favorites are Darkened (previously titled Deadworld), The Depraved, and Kayla And The Devil. Bryan shows no signs of slowing down. 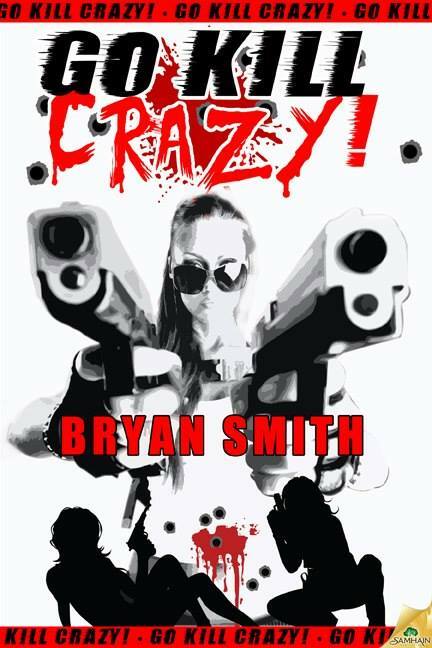 2014 will feature the novel, Go Kill Crazy! which will be released by Samhain Publishing in February. Judging from the cover and the title, this book is bound to be bonkers, overly violent, and everything you’d come to expect from a Bryan Smith novel. The second book you can expect is a sequel to The Depraved, which Bryan plans on publishing himself in January. A limited edition hardcover will be available through Thunderstorm Books. If you haven’t had a chance to check out 68 Kill, a pulpy crime thriller released earlier this year, I recommend you do so. It’s a little different, but it’s an enjoyable, quick read. 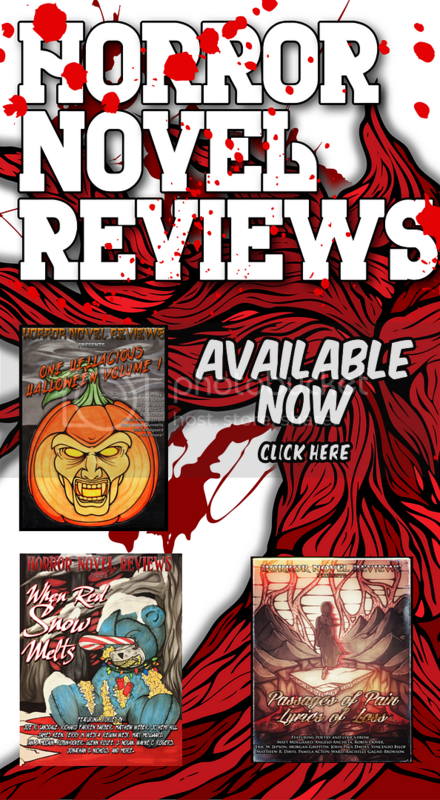 Other recent releases include The Late Night Horror Show and Blood and Whiskey. You can keep up with Bryan and all of his releases right here. In my opinion, Nate Southard is one of the best horror writers flying under the radar today. I think within the next few years, everyone who reads horror will have read (and loved) a Nate Southard novel. For me, there’s a few standouts. Red Sky is my go to, the Southard novel I think I enjoy the most. Down is a great read, and I won’t apologize for saying so. Just Like Hell is worthy, and if zombies are your thing, I recommend Scavengers. Can’t go wrong with any of them. Nate has a few releases scheduled in 2014. The first is the paperback and e-book version of The Slab City Event, published by Sinister Grin Press. Here’s a quick description: The Slab City Riot was supposed to be a weekend of hot rods, choppers, and rock and roll, just a bunch of working stiffs cutting loose. But then a horde of dead, hungry killers charges out of the desert, and The Slab City Riot becomes a slaughter. Few survive the initial attack, and those who do find themselves stranded in the middle of nowhere, surrounded by death and chaos. Misfits from all walks of life, these desperate survivors must fight back or die. But the desert is a harsh place, and the dead don’t stop. And Slab City is one hell of a town. Safe House is a novella coming in the first half of the year from Thunderstorm Books. Seven self-styled revolutionaries hole up in a cabin deep in the wilderness, hiding from the federal government after a series of terrorist attacks. Internal tensions mount as they await their next orders, but something in the woods might be more deadly than their personal breakdowns. 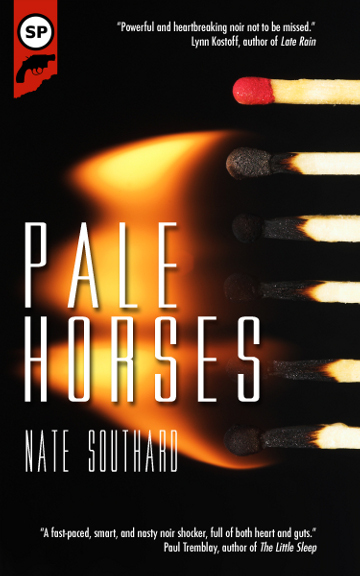 Recently, Snubnose Press put out Nate’s new crime novel, Pale Horses. I haven’t gotten a chance to check it out, but if the “Internet Buzz” is any indication, this is shaping up to be Nate’s best novel to date. You can check it here. You can check out everything Nate’s done on his website. Also, Deadite Press released Sixty-Five Stirrup Iron Road not long ago. Nate is one of many writers that contributed to the novel. The all-star roster includes Brian Keene, Jack Ketchum, Edward Lee, J.F. Gonzalez, Bryan Smith, Wrath James White, Ryan Harding, and Shane McKenzie. All proceeds from this novel will be donated to Tom Piccirilli, who is recovering after successfully battling brain cancer. You can help out by purchasing the novel here. Tim Meyer lives near the Jersey Shore (but don’t hold that against him). He is the author of ‘In the House of Mirrors’ and several other horror novels. His new zombie novel ‘Less Than Human’ is now available on Amazon. Thanks for your fabulous list of under appreciated authors. You got me particularly interest in Adam Cesare and new novel, The Summer Job. I will check that out since it hits the bookstores this Tuesday. Bryan Smith is another one. I think I have one of his novels boxed up. I’ll have to go through them and find out. If so, I’ll read it and then look for his other books. Wayne, that’s great! I’m glad I could be of some help. Adam amd Bryan are both extremely talented individuals. I recommend all of their titles. and the blogs. Could you be attracted? I can’t believe Christopher Ruz isn’t on here. His RUST serial, with its Cronenbergian body-horror and Lynch weird-horror, is phenomenal. He’s a Joe Hill-level talent. Nice list of new horror authors to watch.